One of author Jacqueline Wilson's most popular characters comes to life in this family show bringing together dance, music, drama and circus skills. 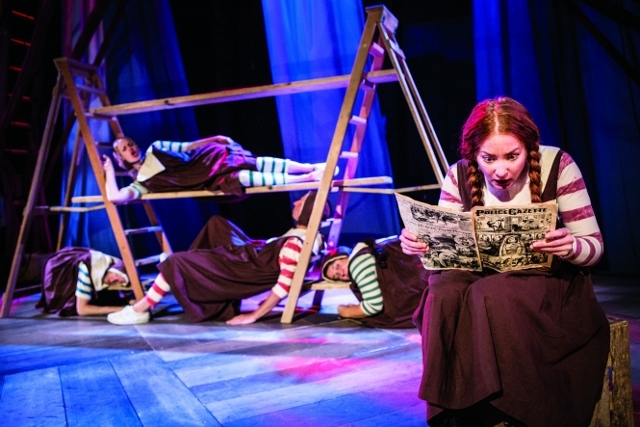 Performed at Birmingham Repertory Theatre until March 12, Hetty Feather is a heart-warmer. Set in Victorian England, it tells the story of a baby handed over to the Foundling Hospital. With no family, no name and no independent means of survival, the infant's life is planned out for her. Renamed Hetty Feather, she will be brought up to be grateful, to be obedient and to take up a position as a servant. But Hetty proves to be much more headstrong than those running the Foundling Hospital had planned for. Desperate to make her way in the world, Hetty sets her heart on a life in the circus and believes the wondrous Madame Adeline, trapeze artist and horse rider, to be her real mother. A cast of six actors and two musicians bring the story to life in this production which gained Olivier Award nominations during its West End run. Between them they cover a vast array of characters from fellow foundlings to strict staff and from circus performers to kind-hearted foster mums. In the centre of it all, Phoebe Thomas is totally engaging as Hetty. From her opening scenes as she swings on the trapeze and brings the audience into her confidence it's impossible not to be rooting for this feisty youngster who is determined to fight despite all the odds being stacked against her. 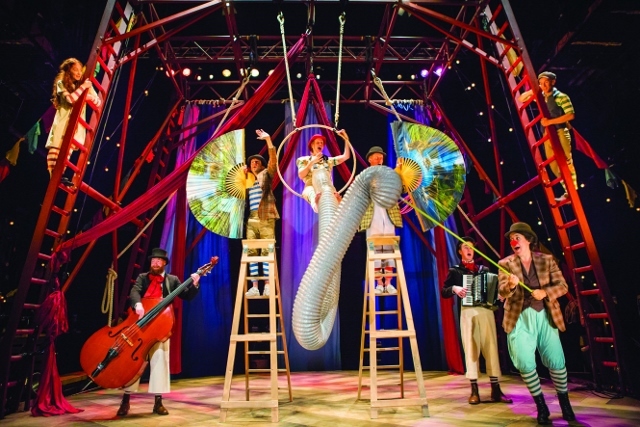 Adapted for the stage by Emma Reeves and directed by Sally Cookson, the production moves at a rapid pace with an imaginative use of circus skills which sees a number of characters taking to the skies. Designed by Katie Sykes, the setting is simple but effective, recreating a country cottage, the inside of the Hospital, the streets of London and the Big Top. It would be hard not to like this production. It may be aimed at youngsters but its indomitable message that love and hope win through even the darkest of situations will also strike a chord with many adults.